Damit die Dosis eines Medikaments kuenftig so niedrig wie therapeutisch moeglich gehalten werden kann, sollen die Wirkstoffe in Zukunft direkt zum Zielort im Organismus transportiert und dort erst freigesetzt werden. Dafuer sollen sie in Nanopartikel eingeschlossen werden, die ihre Fracht nur bei einem bestimmten pH-Wert, einer definierten Temperatur oder unter anderen spezifischen Bedingungen freigeben. The loss of electrical resistance of a metal particle is also a matter of its size. A group of researchers has now proven that the temperature below which a material becomes a superconductor can increase dramatically, when the material is present as spherical nanoparticles. 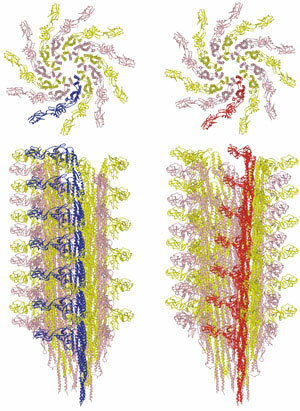 Motile bacteria switch between swimming patterns through conformational changes to a constituent protein of the propeller-like flagellum. Researchers in Australia have created microchips using silk fibres. 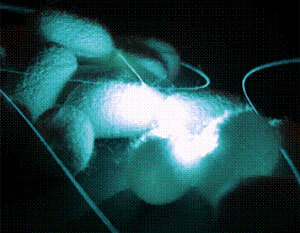 In the lab they have demonstrated that these microchips can measure oxygen using haemoglobin embedded in the silk. With controlled stretching of molecules, Cornell researchers have demonstrated that single-molecule devices can serve as powerful new tools for fundamental science experiments. 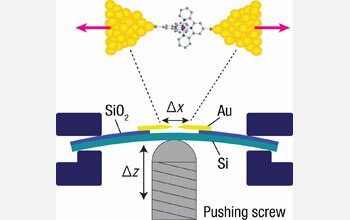 Their work has resulted in detailed tests of long-existing theories on how electrons interact at the nanoscale. 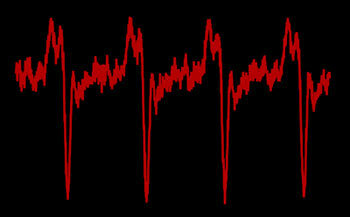 Physicists in Europe have successfully glimpsed the motion of electrons in molecules. The results are a major boon for the research world. Knowing how electrons move within molecules will facilitate observations and fuel our understanding of chemical reactions. Scientists have made a breakthrough toward creating nanocircuitry on graphene, widely regarded as the most promising candidate to replace silicon as the building block of transistors. Tekes and the Science and Technology Commission of Shanghai renewed the cooperation agreement for an additional five years. 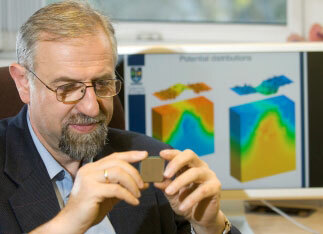 The University of Glasgow is playing a key role in a 26M Euro European project called MODERN looking at how to design the next generation computer chips - using variable and unreliable nanotransistors. 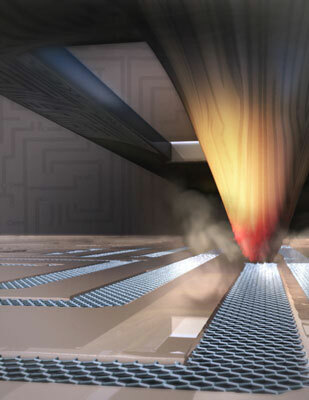 Researchers from SEMATECH's 3D Interconnect program based at the College of Nanoscale Science and Engineering's Albany NanoTech Complex have reported advances in wafer-to-wafer bonding alignment accuracies through a series of tool and process hardening improvements. In an advance that sounds almost Zen, researchers at the National Institute of Standards and Technology (NIST) and JILA, a joint institute of NIST and the University of Colorado at Boulder, have demonstrated a new type of pulsed laser that excels at not producing light. IFW-Forscher machen Silizium thermisch isolierend und erschliessen damit neue Anwendungsfelder fuer das Lieblingsmaterial der Halbleiterindustrie. Lockheed Martin, a global security company, will play a prominent role at the annual TechConnect World Conference and Expo, to be held in Anaheim, California from June 21-24. 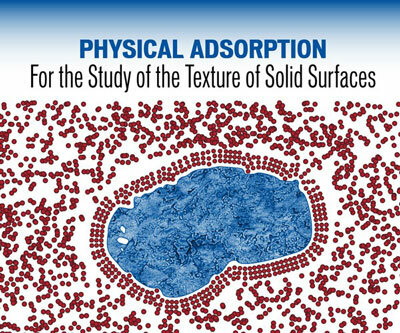 Physical adsorption is a technique used to characterize the surface and pore features of solids, that is, the materials texture. The adsorption isotherm generated by the Physical Adsorption technique enables one to characterize a solids' texture by determining its surface area, porosity, and total pore volume. 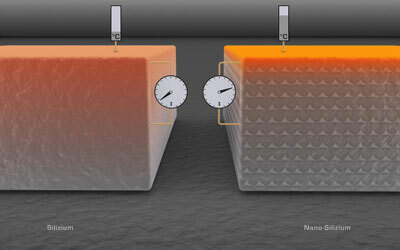 Using a chemical trick that allows them to change the acidity of a solution almost instantly, a team at the National Institute of Standards and Technology (NIST) has demonstrated a simple and effective technique for quantifying how the stability of nanoparticle solutions change when the acidity of their environment suddenly changes.